National parks stretch across the United States, and each has a diverse landscape, incredible history and makes for an unforgettable trip. With so many to choose from, here are eight unique parks that will appeal to almost everyone and can be conveniently accessed with a SkyWest-operated flight! 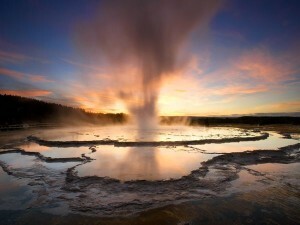 Yellowstone is America’s first national park (and widely held to be the first in the world)! Since it’s opening in 1872, it has maintained itself as one of the most iconic parks in the U.S. The majority of the world’s geysers can be found in Yellowstone, including Old Faithful, and it’s known for having an abundance of animal life. Visitors can often spot grizzly bears, wolves, bison, elk and more. With more than 2,000 campsites throughout the park, it’s a perfect trip for a weekend campout. Fly from Salt Lake City into Cody, Wyoming and drive 54 miles to the East Entrance. Fly from Salt Lake City into West Yellowstone, Montana (summer only) and the West Entrance is only five miles away. 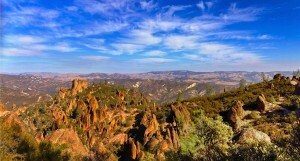 Those looking for something a little newer should definitely head to Pinnacles National Park in California – the country’s newest designated national park (only official since 2013). Known for its breathtaking spires and rock formation, Pinnacles is a favorite among advanced rock climbers due to its abundance of difficult and challenging climbs.There is also an array of wildflowers and spectacular views, with many popular hikes in the area. Fly from Los Angeles into Monterey, California and Pinnacles is an hour drive East. 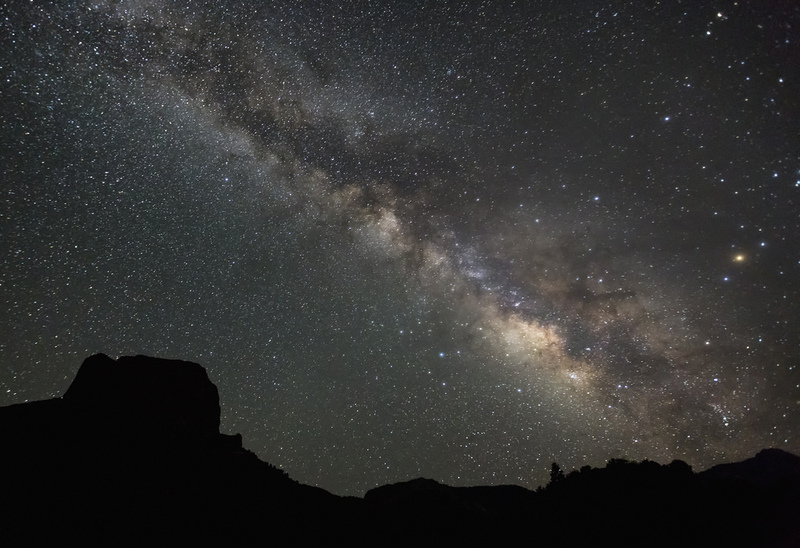 If isolation sounds ideal, head to Big Bend. It is one of only 10 places on the planet that has been certified for dark-sky gazing and has been recognized as having the darkest measured skies in the lower 48 United States. Big Bend is popular with backpackers and hikers alike for its stunning trails and its reputation for wide open space. Fly from Denver to Midland, Texas, which at 235 miles away is the closest town to the isolated park. 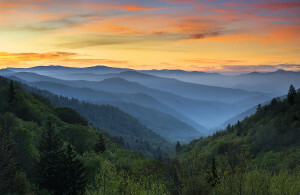 If Big Bend is a little too isolated, check out Great Smoky Mountains. This is the most visited national park in the United States, and for good reason too! The park covers the mountain range rising along the Tennessee-North Carolina border, a subrange of the Appalachian Mountains. It is world-renowned for the diversity of plant and animal life located in the park, along with popular activities like bicycling, fishing and waterfall walks. Fly from Chicago to Asheville, North Carolina and the Cherokee Entrance is located just 60 miles away. 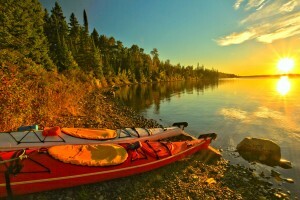 At more than 45 miles long and nine miles wide, the largest island in Lake Superior is a dream for backpackers, kayakers, canoeists and scuba divers. This park does require visitors to plan ahead because it’s only accessible by boat or seaplane and does close during the winter. Once on the road-less island, enjoy a four- or five-day backpacking hike on the Greenstone Ridge Trail that follows the ridge across the center of the island or one of many other day hikes. 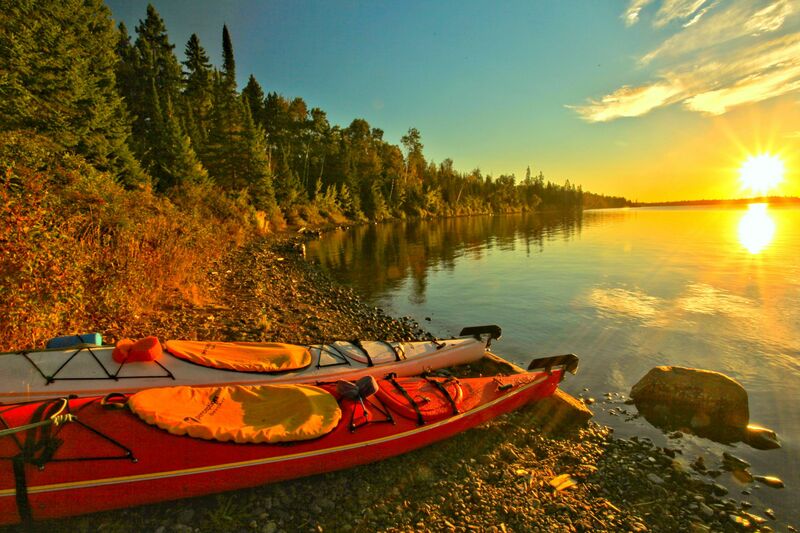 Fly from Chicago into Houghton, Michigan and catch the seaplane or ferry to the island. 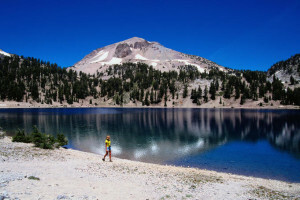 Sunset Magazine calls Lassen Volcanic, “The West’s most beautiful, least visited wonderland.” Lassen is not only beautiful, but also has the largest plug dome volcano in the world and is home to almost every kind of volcanic formation. Here travelers will be able to hike and camp among the meadows and mountain lakes to sneak a peek at the steaming fumaroles and marvel at the volcanoes that make it a top destination for aspiring geologists. Fly from San Francisco to Redding, California and it’s a 50 mile drive to The Northwest Entrance. Shenandoah encompasses part of the Blue Ridge Mountains in Virginia. 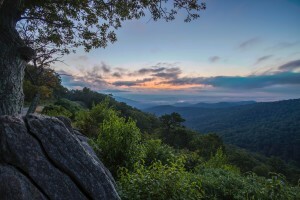 The park is best known for Skyline Drive, a 105-mile road that runs through the park on the ridge on the mountains. This is especially scenic in autumn as the leaves are changing color. There are also fantastic hikes to see waterfalls, vistas and quiet, wooded hollows. After flying from Chicago into Charlottesville, Virginia, it’s just 31 miles to the park’s Northern Entrance. 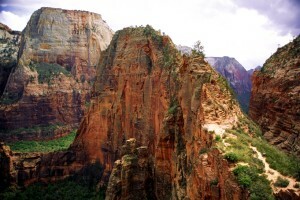 Zion National Park is located in beautiful Southern, Utah. The massive sandstone cliffs, narrow slot canyons and blue skies are iconic. Popular hikes include climbing up to Angel’s Landing and hiking though the narrows, but simply entering the park will provide spectacular views. Rock climbing and canyoneering are also popular in the park for the more adventurous crowd. Flying from Salt Lake City or Denver into St. George or Salt Lake City to Cedar City, Utah leaves a short 50-60 mile drive to the park entrance.